The top title readers borrowed through OverDrive in 2018 was 'Astrophysics for People in a Hurry' by Neil DeGrasse Tyson. 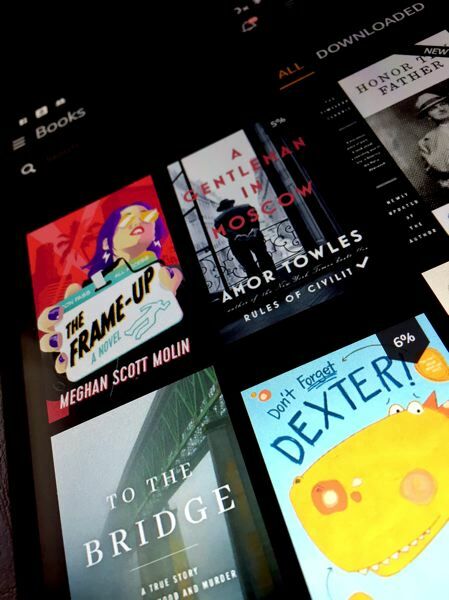 Multnomah County library patrons set new records for digital book checkouts in 2018. Rakuten OverDrive, which provides the library system's digital books, said Thursday, Jan. 17, that Multnomah County readers had downloaded digital books 2 million times last year. The library system also is one of 65 across the nation that surpassed 1 million digital downloads in 2018. The top title Multnomah County readers borrowed through OverDrive in 2018 was "Astrophysics for People in a Hurry" by Neil DeGrasse Tyson. Multnomah County Library patrons use their library cards to access digital books from the OverDrive collection and download them to just about any device. Rakuten OverDrive provides digital titles to about 43,000 libraries and schools in 76 countries. According to Rakuten OverDrive, the Toronto Public Library and the Wisconsin Public Library Consortium had more than 5 million digital downloads in 2018. Seattle's King County Library System had more than 4 million downloads. Multnomah County's library system joined Seattle Public Library and eight others in the 2 million download club.